Palestinian Authority Chairman Mahmoud Abbas will meet Deputy Prime Minister Shaul Mofaz in Ramallah next Sunday, reports say. Palestinian Authority Chairman Mahmoud Abbas will meet Deputy Prime Minister Shaul Mofaz next week, Channel 2 News reported on Tuesday. It will be Abbas’ first meeting in months with an Israeli cabinet minister. 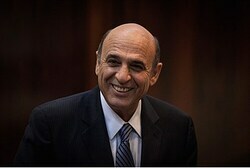 The report said that Mofaz will arrive in Ramallah on Sunday for the meeting.